Staff Member - The Penn State Blue Band, 1958, 1959. Guest Conductor - Regional Band, Clarksburg, WV, 1959, 1960, 1962, 1963, 1965, 1966. Guest Conductor - Regional Band, Elkins, WV, 1961. Guest Conductor - County Band, Butler, PA, 1962. Staff Member - Penn State Summer Band Clinic, 1962. Guest Conductor - County Band, Butler, PA, 1963. Guest Conductor - County Band, Clarion, PA, 1963. Guest Conductor - Tri- County Band, Boyerstown, PA, 1964. Guest Conductor - Franklin-Fulton County Band, Greensville, PA 1964. Guest Conductor - County Band, Butler, PA, 1965. Guest Conductor - High School, Curwensville, PA, 1966. Guest Conductor - Butler County Band, Seneca Valley, PA, February 19, 1966. Guest Conductor - Northern West Virginia State Band Festival, Clarksburg, WV, May 6, 7, 1966. Guest Conductor - Fairview Township-Karns City High School, Karns City, PA, May 16, 1966. Guest Conductor - Regional Band, Bluefield, WV, May 4, 5, 6, 1967. Camp Caledon Summer Music Camp, Erie, PA, July, 1967. Guest Conductor - County Band, Clarion, PA, November 16,17, 1967. Guest Conductor - Allegheny-Kiski Honors Band, Springdale, PA, 1967. Guest Conductor - Allegheny-Kiski Valley Honors Band, Springdale, PA, January 20, 1968. Guest Conductor - Cumberland County Band, Etters, PA, March 1, 1968. Guest Conductor - West Virginia All State Band, Huntingdon, WV, March 28, 29, 30, 1968. Guest Conductor - Regional Band, Bluefield, WV, May 2, 3, 4, 1968. Guest Conductor - Armstrong County Band, Kittanning, PA, May 16,17, 1968. West Virginia Summer Music Camp, West Virginia Wesleyan College, Buckhannon, WV, July 8-13, 1968. Guest Conductor - District Band, Lewiston, PA, January 23, 24, 25, 1969. Guest Conductor - County Band, Harrisburg, PA, February 14, 15, 1969. Guest Conductor - West Virginia All State Band, Clarksburg, WV, April 11, 12, 13, 1969. Guest Conductor - All County Band, Charleston, WV, April 17, 18, 1969. Guest Conductor - District Band, Youngsville, PA, April 25, 26, 1969. Guest Conductor - Regional Band, Clarksburg, WV, May 1, 2, 3, 1969. Guest Conductor - Armstrong County Band, Freeport, PA, May 12, 13, 1969. Wesleyan College, Buckhannon, WV, July 6-13, 1969. Guest Conductor - County Band, Clarion, PA, November 21, 22, 1969. Guest Conductor - Allegheny County Honors Band, Freeport, PA, January 30, 31, 1970. Guest Conductor - Tri--Boro Band, Avalon, PA, April 2, 3, 4, 1970. Guest Conductor - High School Band, Plum Borough, PA, April 16, 1970. Guest Conductor - Regional Band, Moundsville, WV, April 17, 18, 1970. Guest Conductor - Regional Band, Morgantown, WV, April 24, 25, 1970. Guest Conductor - PMEA Junior High School Honors Band, St. Mary's, PA May 1, 2, 1970. Guest Conductor - High School Band, Richburg, NY, June 5, 1970. Guest Conductor - North East District Band, Berwick, PA, February 18, 19, 20, 1971. Guest Conductor - High School Band, Knox, PA, February 25, 1971. Guest Conductor - Western District band, New Kensington, PA, March 5, 1971. Guest Conductor - Armstrong County Band, Elderton, PA, March 18, 19, 1971. Guest Conductor - PMEA Westminster College Honors Band, March 27, 1971. Guest Conductor - Springfield Elementary Band - Mid-East Clinic, April 3, 1971. Guest Conductor - Regional band, Morgantown, WV, April 23, 24, 1971. Guest Conductor - Regional Band, New Cumberland, WV, May 1, 1971. Guest Conductor - County band, Knox, PA, November 19, 20, 1971. Guest Conductor - Bi-County band, Smithport, PA, April 10, 11, 1971. Guest Conductor - Southeastern District Band, Aston, PA, January 13, 14, 15, 1972. Guest Conductor - High School Band, Knox, PA, February 3, 1972. Guest Conductor - District IV Music Festival, Alexandria, VA, March 10, 11, 1972. Guest Conductor - Bi-County Band, St. Mary's, Pa, April 8, 9, 1972. Guest Conductor - Armstrong County Band, East Brady, PA, April 14, 1972. Guest Conductor - Northeastern Junior District Band, Mill Hall, PA, April 20, 21, 22, 1972. Guest Conductor - Regional V Band Festival, Glendale, WV, April 29, 1972. Guest Conductor - Regional Band, Clarksburg, WV, May 4, 5, 6, 1972. Guest Conductor - Regional Band, New Cumberland, WV, May 18, 1972. Guest Conductor - Lycoming County Band, Montoursville, PA, January 12, 13, 1973. Guest Conductor - Northwestern Pennsylvania District Band, Greensville, PA, February 1, 2, 3, 1973. Guest Conductor - Clinton County Band, Farwell, PA, March 23, 24, 1973. Guest Conductor - Regional Band, Clarksburg, WV, May 3, 4, 5, 1973. Guest Conductor - Monroe County Music Festival, Rochester, NY, January 25, 26, 1974. Guest Conductor - Southeastern District Band, Springfield, PA, February 14, 15, 16, 1974. Guest Conductor - Washington County Band, Washington, PA, February 28, 1974. Guest Conductor - Regional Band, Clarksburg, WV, May 2, 3, 4, 1974. Guest Conductor - National Memorial Day Service, Grafton, WV, May 27, 1974. Guest Conductor - West Virginia Strawberry Festival, Buckhannon, WV, June 1, 1974. Guest Conductor - Edinboro State College Marching Band Competition, Edinboro, PA, September 14, 1974. Guest Conductor - PMEA Conference, Pittsburgh, PA, January 10, 1975. Guest Conductor - Midwestern District Band, Corry, PA, January 23, 24, 25, 1975. Guest Conductor - Central Western District Band, Brookville, PA, February 6, 7, 8, 1975. Guest Conductor - High School Band, Knox, PA, February 13, 1975. Guest Conductor - Lycoming County Junior High Band Festival, Williamsport, PA, March, 12, 1975. Guest Conductor - All-State Band, Morgantown, WV, April 3, 4, 5, 1975. Guest Conductor - Lycoming County Band, Williamsport, PA, April 25, 26, 1975. Guest Conductor - Regional Band, Morgantown, WV, April 11, 12, 1975. Guest Conductor - U.S. Armed Forces Bicentennial Band, May 5, 1975. Guest Conductor - York County Fair - September 7, 1975. Guest Conductor - Ontario Youth Music Camp - Beaverton, Ontario, Canada, July 27 - August 3, 1975. Guest Conductor - Marion County Band Festival, Fairmont, WV, February 25, 26, 1976. Guest Conductor - Arizona State University Band, Tucson, Arizona, March 10, 1976. Guest Conductor - Band Festival, Spring Grove, PA, March 27, 1976. Guest Conductor - Huntingdon County Band Festival, Huntingdon, PA, April 1, 2, 3, 1976. Guest Conductor - Center County Junior High Festival, Philipsburg, PA, April 22, 23, 1976. Adjudication Festival - Williamsprot, PA, April 24, 1976. Guest Conductor - Regional All-State Band, Clarksburg, WV, May 6, 7, 8, 1976. Guest Conductor - Ontario Youth Music Camp - Beaverton, Ontario, Canada, July 25 - August 1, 1976. Guest Conductor - All-State Band, Seneca Falls, NY, November 19, 20, 1976. Guest Conductor - District Band Festival, Franklin, PA, January 20, 21, 22, 1977. Guest Conductor - District Band Festival, Johnstown, PA, February 10, 11, 12, 1977. Guest Conductor - District Band Festival, St.. Mary's, PA, March 10, 11, 12, 1977. Guest Conductor - Hempfield Jr. High Band Festival, Irwin, PA, March 24, 25, 1977. Guest Conductor - Allegheny Valley band festival, Fox Chapel, PA, April 13, 14, 1977. Adjudication Festival- St. Mary's, PA, April 30, 1977. Guest Conductor - Regional All-State Band, Clarksburg, WV, May 5, 6, 7, 1977. Guest Conductor - District Band Festival, Harrisburg, PA, January 19, 20, 21, 1978. Guest Conductor - District Band Festival, Butler, PA, February 2, 3, 4, 1978. Guest Conductor - Regional Band Festival, Clarion, PA, February 16, 17, 1978. Guest Conductor - Regional Band Festival, Mill Hall, PA, February 23, 24, 25, 1978. Guest Conductor - Clinton County Band, Lock haven, PA, March 16, 17, 1978. Adjudicator - Six Flags Over Georgia Band Festival - Atlanta, GA, April 27, 28, 29, 1978. Guest Conductor - All-State Band Festival, Clarksburg, WV, May 4, 5, 6, 1978. Guest Conductor - Pennsylvania National Guard Band, January 13, 1979. Guest Conductor - District Band Festival, Wilkes Barre, PA, January 25, 26, 27, 1979. Guest Conductor - District Band Festival, Selinsgrove, PA, February 1, 2, 3, 1979. Guest Conductor - Allegheny-Kiski Band Festival, Freeport, PA, February 8, 9, 10, 1979. Guest Conductor - Hardaway, Georgia High School Band, Montgomery, Alabama, March 2, 1979. Adjudicator - Mexican Invitational Band Festival, Mexico City, April 26, 27, 28, 1979. Adjudicator - Six Flags Over Texas band Festival, Arlington, Texas, May 3, 4, 5, 1979. Adjudicator - Mid America band festival, St. Louis, Missouri, May 10, 11, 12, 1979. Guest Conductor - U.S. Army Field Band, May 22, 1979. Adjudicator - Bald Eagle Nittany Pageant of Bands, Mill Hall, PA, May 26, 1979. Guest Conductor - Armstrong County Band Festival, Elderton, PA, January 3, 4, 1980. Guest Conductor - District Band Festival, Youngsville, PA, February 7, 8, 9, 1980. Guest Conductor - District Band Festival, Langhorne, PA, February 14, 15, 16, 1980. Guest Conductor - Huntingdon County Band Festival, Huntingdon, PA, March 6, 7, 8, 1980. Guest Conductor - Hempfield Jr. High School Band Festival, Youngwood, PA, March 20, 1980. Adjudicator - Six Flags Over Georgia Band Festival, Atlanta, GA, April 10, 11, 12, 1980. Guest Conductor - Intermediate Unit 9 Band Festival, St. Mary's, PA, April 15, 16, 1980. Guest Conductor - Grove City College Band April 25, 1980. Guest Conductor - All-State Band Festival, Clarksburg, WV, May 1, 2, 3, 1980. Adjudicator - Six Flags Over Mid-America Band Festival, St. Louis, Missouri, May 8, 9, 10, 1980. Adjudicator - Allegheny Clarion Valley Jazz Festival, February 28, 1981. Guest Conductor - Regional Band Festival, Troy, PA, March 5, 6, 7, 1981. Adjudicator - Titusville Lions Club Festival Jazz - Titusville, PA, April 4, 1981. Adjudicator - London Kiwanis Music Festival, Ontario, Canada, April 6, 7, 8, 9, 1981. Guest Conductor - Hempfield Honors Band Festival, Irwin, PA, April 23, 2 4, 1981. Adjudicator - Six Flags Over Texas Band Festival, Arlington, TX, May 3, 4, 5, 1981. Guest Conductor - Chatauqua County Music Festival, Chatauqua, NY, June 6, 1981. Guest Conductor - District Band Festival, Knox, PA, February, 4, 5, 6, 1982. Guest Conductor - Blair County Band, Claysburg, PA, February, 25, 26, 1982. Adjudicator - Allegheny Clarion Valley Jazz Festival, February 27, 1982. Adjudicator - Titusville Jazz Festival, Titusville, PA, April 17, 1982. Adjudicator - Meadville Jazz Festival, Meadville, PA, April 24, 1982. Guest Conductor - Adams County Band, Bermudian Springs, PA, February 25, 26, 1983. Host - Guest Conductor - Pennsylvania Intercollegiate Band Festival, Clarion University, March 10, 11, 12, 1983. Guest Conductor - U.S. Air Force Band, Kansas City, Mo, March 6, 1983. Adjudicator - London Kiwanis Music Festival, Ontario, Canada, April 17 - 21, 1983. Adjudicator - Festival of the Nations, Washington, DC, April 23, 1983. Adjudicator - Clarksburg, WV, May 6, 7, 1983. Adjudicator - Festival of the Rockies, Estes Park, CO, May 14, 1983. Guest Conductor - Regional Band Festival, Cocalamus, PA, March 1, 2, 3, 1984. Adjudicator - Westminster College Lab Band Festival, March 17, 1984. Guest Conductor - Harrison County, WV, April 3, 1984. Mexico City - Acapulco - Concert Tour, April 18 - 24, 1984. Guest Conductor - St. Mary's High School, St. Mary's, PA, May 22, 1984. Guest Conductor - District Band Festival, Emporium, PA, January 31 - February 2, 1985. Guest Conductor - United States Army Band, Fort Myer, VA, February 28, 1985. Guest Conductor - Dauphin County Band, Hummelstorm, PA, March 1, 2, 1985. Guest Conductor - Bands in the Round, Dubois, PA, March 16, 1985. Guest Conductor - U.S. Army Band, Kohler, WI, March 23, 1985. Guest Conductor - Huntingdon County Band, Orbisonia, PA, April 11, 12, 13, 1985. Guest Conductor - U.S. Army Field Band, Clarion, PA, April 14, 1985. Guest Conductor - Clarion University String Ensemble, Clarion, PA, April 28, 1985. Adjudicator - North American Music Festival, Carlisle, PA, May 10, 1985. Guest Conductor - Pennsylvania Lions Band, Lancaster, PA, May 17, 18, 19, 1985. Music Director - Conductor - Pennsylvania All-State Lions Band, Dallas, TX, June 17 - 23, 1985. Guest Conductor - Clarion County Band - Clarion, PA, November 15, 16, 1985. Guest Conductor - District Band Festival, Oil City, PA, February 13, 14, 15, 1986. Guest Conductor - Tri--Valley Band Festival, Hegins, PA, March 20, 21, 22, 1986. Guest Conductor - Regional Band Festival, Atglen, PA, April 3, 4, 5, 1986. Adjudicator - Heritage Music Festival, Washington, D.C., April 25, 1986. Guest Conductor - Clinician, PMEA Conference, Pittsburgh, PA, May 2, 1986. Conductor - Intermediate Unit 6 Honors Band, Clarion, PA, December 14, 1986. Guest Conductor - District Band Festival, Huntingdon, PA, January 8, 9, 10, 1987. Guest Conductor - Regional Band Festival, New Castle, PA, February 19, 20, 21, 1987. Guest Conductor - Brookfield High School Band, Brookfield, OH, February 24, 1987. Guest Conductor - West Virginia Institute of Technology Honors Band, Montgomery, WV February 27, 28, 1987. Adjudicator - PMEA Adjudication Festival - California, PA, March 21, 1987. Adjudicator - Heritage Music Festival, Washington, D. C., April 11, 1987. Guest Conductor - Elk County Christian - Kane High School Combined Band Concert, April 21, 1987. Adjudicator - North American Music Festival, Myrtle Beach, SC, April 23, 24, 25, 1987. Adjudicator - Heritage Music Festival, Washington, D.C., May 9, 1987. Adjudicator - International Music Festival, Boston, MA, May 16, 1987. Adjudicator - Heritage Music Festival, Washington, D.C., May 23, 1987. Adjudicator - International Music Festival, Orlando, FL, June 13, 1987. Conductor - Intermediate Unit 6 - CUP Honors Band, Clarion University, December 13, 1987. Guest Conductor - Blair County band Festival, Bellwood, PA, February 18, 19, 1988. Guest Conductor - U.S. Army Band, Ft. Meyers, VA, February 25, 1988. Guest Conductor - U.S. Army Band, Ashland, OR, March 5, 1988. Guest Conductor - Regional Band Festival, Curwensville, PA, March 10, 11, 12, 1988. Guest Conductor - Honors Band Festival, Livingston, AL, March 18, 19, 20, 1988. Adjudicator - Heritage Music Festival, Mexico City, Mexico, April 2, 1988. Adjudicator - North American Music Festival, Nashville, TN, April 15, 16, 1988. Clinician - PMEA Conference, Pittsburgh, PA, April 29, 1988. Adjudicator - Heritage Music Festival, Washington, D.C., May 6, 7, 1988. Adjudicator - Heritage Music Festival, Toronto, Canada, May 13, 14, 1988. Adjudicator - North American Music Festival, Niagara Falls, Canada, May 20, 21, 1988. Adjudicator - West Virginia Wesleyan Band Festival, Buckhannon, WV, May 28, 1988. Guest Conductor - Pennsylvania Air Force National Guard, Clarion, PA, August 3, 1988. Guest Conductor - U.S. Marine Band, Clarion, PA, October 12, 1988. Adjudicator - West Virginia Weslyan Band Festival, Buckhannon, WV, May 28, 1988. Guest Conductor - Pennsylvania Air Force National Guard Band, Clarion, PA, August 3, 1988. Conductor - Intermediate Unit 6 - CUP Honors Band, Clarion University, December 11, 1988. Guest Conductor - Allegheny Valley Honors Band, Wexford, PA, January 17, 18, 1989. Guest Conductor - Fulton County Band, Greencastle, PA, January 20, 21, 1989. Guest Conductor - Pennsylvania Intercollegiate Band, Slippery Rock University, Slippery Rock, PA, march 17, 18, 19, 1989. Guest Conductor - Huntingdon County Band, Huntingdon, PA, March 31- April 1, 1989. Adjudicator - PMEA Instrumental Ensemble Festival, Vandergrift, PA, April 6, 1989. Adjudicator - Massachusetts Instrumental Conductors Association, Concord, MA, April 7, 8, 1989. Adjudicator - North American Music Festivals, Myrtle Beach, SC, April 21, 22, 1989. Adjudicator - West Virginia Bandmasters Festival, Glendale, WV, April 28, 29, 1989. Adjudicator - North American Music Festival, Virginia Beach, VA, May 5, 6, 1989. Adjudicator - Smoky Mountain Music Festival, Gatlinburg, TN, May 12, 13, 1989. Guest Conductor - Ohio University Summer Band, Athens, OH, July 12,1989. Conductor - Intermediate Unit 6 - CUP Honors Band, Clarion University, December 10, 1989. Guest Conductor - District Band Festival, Lock Haven University, Lock Haven, PA, January 11, 12, 13, 1990. Guest Conductor - Somerset County Band, Myersdale, PA, March 8, 9, 10, 1990. Guest Conductor - Tri--County Band, Hazelton, PA, March 13, 14, 15, 1990. Adjudication - PMEA Instrumental Ensemble Festival, Vandergrift, PA, March 30, 1990. Adjudication - Heritage Cherry Blossom Festival, Washington, D.C., April 6, 7, 1990. Mexico City - Taxco - Acapulco Tour, April 11 - 17, 1990. Adjudication - North American Music Festivals, Myrtle Beach, SC, April 20, 21, 1990. Adjudication - Regional Band Festival, Clarksburg, WV, April 26, 27, 1990. Adjudication - Smoky Mountain Music Festival, Gatlingurg, TN, May 4, 5, 1990. Adjudication - Festivals of Music, Hershey, PA, May 12, 1990. Adjudication - Heritage Music Festivals, Toronto, Canada, May 18, 19, 1990. Conductor - Intermediate Unit 6 - CUP Honors band, Clarion University, December 9, 1990. Guest Conductor - Blockbuster Bowl, Ft. Lauderdale, FL, December 26 -31, 1990. Guest Conductor - District Band Festival, St. Mary's, PA, January 16,17, 18, 1991. Adjudicator - Regional Band Festival, Alexandria, VA, March 1, 2, 1991. Guest Conductor - Region Band Festival, Westminster College, New Wilmington, PA, March 7, 8, 9, 1991. Guest Conductor - Host - Pennsylvania Intercollegiate Band Festival, Clarion University, March 15, 16, 17, 1991. Adjudicator - PMEA Instrumental Ensemble Festival, Clarion, PA, March 23, 1991. Adjudicator - Heritage Cherry Blossom Festival, Washington, D.C., April 5, 6, 1991. Adjudicator - North American Music Festivals, Myrtle Beach, SC, April 19, 20, 1991. Guest Conductor - Regional All State Band - Huntingdon, WV, April 25, 26, 1991. Adjudicator - Heritage Music Festivals, San Francisco, CA, May 3, 4, 1991. Adjudicator - Smoky Mountain Music Festival, Gatlinburg, TN, May 10, 11, 1991. Adjudicator - Festivals of Music, Hershey, PA, May 17, 18, 1991. Conductor - Intermediate Unit 6 - CUP Honors Band, Clarion University, December 15, 1991. Guest Conductor - Blockbuster Bowl, Miami, FL, December 26 - 31, 1991. Guest Conductor - Dauphin County Band, Hummelstown, PA, February 28,29, 1992. Guest Conductor - Regional Band - Clarion, PA, March 19, 20, 21, 1992. Adjudicator - Massachusetts Instrumental Conductors Association, Boston, MA, April 3, 4, 1992. Adjudicator - Carowinds - Charlotte, NC, May 8, 9, 1992. Adjudicator - Smoky Mountain Music Festival, Gatlinburg, TN, May 14, 15, 16, 1992. Adjudicator - Heritage Music Festival, Vancouver, Canada, May 21, 22, 23, 1992. Cancun, Mexico Concert Tour, April 11 - 18, 1992. Guest Conductor - Butler Intermediate High School Band, Butler, PA, April 21, 1992. Guest Conductor - Elkhart Band and Orchestra Concert, Elkhart, IN, April 23, 1992. Conductor - North American Concert Band European Tour, June 30 - July 20, 1992. Conductor - Intermediate Unit 6 Honors Band, Clarion, PA, December 13, 1992. Guest Conductor - Blockbuster Bowl, Miami, FL, December 28-January 1, 1993. Guest Conductor - District Band, Knox, PA, January 14,15,16, 1993. Guest Conductor - United States Marine Band, New Orleans, LA, March 6, 1993. Guest Conductor - Pittsburgh Diocesan Schools Honors Band, Pittsburgh, PA, March 12, 1993. Adjudicator - Heritage Music Festival, Chicago, IL, April 2,3, 1993. Adjudicator - North American Music Festival, Virginia Beach, VA, April 16, 17, 1993. Adjudicator - North American Music Festival, Myrtle Beach, SC, April 23, 24, 1993. Adjudicator - Heritage Music Festivals, Montreal, Canada, April 30, May 1, 1993. Adjudicator - Smoky Mountain Music Festival, Gatlinburg, TN, May 7, 8, 1993. Adjudicator - Music in the Parks, Hershey, PA, May 14, 15, 1993. Adjudicator - Fiesta-Val, Williamsburg, VA, May 21, 22, 1993. Guest Lecturer - University of Tennessee Conductors' Symposium, June 18, 1993. Guest Conductor - Virginia Music Educators Conference, Norfolk, VA, November 19, 1993. Guest Conductor - Intermediate Unit 6 Honors Band, Clarion, PA, December 12, 1993. Guest Conductor - Mid-West Band Clinic, Robinson MS Band, December 15, 1993. Guest Conductor - Carquest Bowl, Miami, FL, December 29-January 2, 1994. Guest Conductor - Pittsburgh Diocesan Schools Honors Band, Pittsburgh, PA, February 4, 1994. Guest Conductor - University of South Carolina Honors Band, Columbia, SC, February 20, 1994. Guest Conductor - University of Tennessee Honors Band, Knoxville, TN, February 27, 1994. Guest Conductor - Alabama All-State Band, Tuscaloosa, AL, March 12, 1994. Guest Conductor - University of Hawaii Band, Honolulu, HI, March 23, 1994. Adjudicator - Heritage Music Festivals, San Antonio, TX, April 8, 9, 1994. Adjudicator - North American Music Festival, Virginia Beach, VA, April 15, 16, 1994. Adjudicator - North American Music Festival, Myrtle Beach, SC, April 22, 23, 1994. Adjudicator - Fiesta-Val, Myrtle Beach, SC, April 29, 30, 1994. Adjudicator - Heritage Music Festivals, Toronto, Canada, May 6, 7, 1994. Adjudicator - Smoky Mountain Music Festival, Gatlinburg, TN, May 13, 14,1994. Guest Conductor - Musicians Concert Band, Slippery Rock, PA, June 17, 1994. Adjudicator - University of Illinois Band Festival, Urbana, IL, October 29, 1994. Adjudicator - Cary Band Day, Cary, NC, November 11, 1994. Guest Conductor - Indiana All-State Region Junior High Band Festival, Ellwood, IN, November 20, 1994. Guest Conductor - Carquest Bowl, Miami, FL, December 29-January 2, 1995. Guest Conductor - District 5 Band, New Brighton, PA, February 9-11,1995. Guest Conductor - University of Tennessee Honors Band, Knoxville, TN, February 19, 1995. Guest Conductor - Rock Hill HS Band, Rock Hill, SC, March 14, 1995. Adjudicator - Heritage Music Festivals, San Antonio, TX, March 31, 1995. Adjudicator - North American Music Festival, Virginia Beach, VA, April 7,8, 1995. Guest Conductor - University of North Carolina at Charlotte Concert Band, Charlotte, NC, April 19, 1995. Adjudicator - Grand Ole Opry Band Festival, Nashville, TN, April21,22, 1995. Adjudicator - Smoky Mountain Music Festival, Gatlinburg, TN, April 28, 29, 1995. Guest Conductor - Philipsburg-Osceola HS Band, Philipsburg, PA, May 1, 1995. Adjudicator - American Classic Band Festival - Nashville, TN, May 5,6, 1995. Adjudicator - North American Music Festival - Toronto, Canada, May 12,13, 1995. Adjudicator - Smoky Mountain Music Festival, Gatlinburg, TN, May 19, 20, 1995. Clinician - American Band College, Ashland, OR, June 29,30, 1995. Adjudicator - Burger King Classic Band Festival, Rock Hill, NC, September\23, 1995. Guest Conductor - U.S. Army Field Band, Monroe, NC. November 1, 1995. Clinician - NCMEA Conference, Winston-Salem, NC, November 20, 1995. Guest Conductor - Carquest Bowl, Miami, FL, December 27-30, 1995. Guest Conductor - District VI Band - Barnesboro, PA, January 11, 12, 13, 1996. Clinician - NCMEA Student MENC - Wingate University, January 28, 1996. Guest Conductor - District 10 Honors Band - GMEA - Augusta, GA, February 16, 17, 1996. Adjudicator - Sun Valley High School - Monroe, NC, February 22, 1996. Guest Conductor - University of Tennessee Honors Band, Knoxville, TN, February 23, 24, 25, 1996. Adjudicator - Rock Hill High School, Rock Hill, SC, February 27, 1996. Adjudicator - District 12 VMEA, Arlington, VA, March 1, 2, 1996. Guest Conductor - U.S. Marine Band - San Antonio, TX, March 9, 1996. Guest Conductor - West Virginia All-State Band, Charleston, WV, March 21, 22, 23, 1996. Adjudicator - Heritage Festivals - San Antonio, TX, March 19, 20, 1996. Adjudicator - Alabama Bandmasters Association State Festival - April 8-18, 1996. Adjudicator - Smoky Mountain Music Festival - April 26, 27, 1996. Adjudicator - American Classic Festivals - New Orleans, LA, May 3, 4, 1996. Adjudicator - North American Music Festivals - Toronto, Canada, May 10, 11, 1996. Guest Conductor - University of Rhode Island - July 8-21, 1996. Adjudicator - University of Illinois Marching Band Festival - October 18, 19, 1996. Guest Conductor - District Seven Senior High Band - Mathews, LA, January 17, 18, 1997. Guest Conductor - Eastern District Senior Honor Band - Myrtle Beach, SC, February 21, 22, 1997. Guest Conductor - Lock Haven University Band - Lock Haven, PA, February 27, 1997. Guest Conductor - Adams County Senior High School Band Festival - New Oxford, PA, March 1, 1997. Adjudicator - St. Patrick's Day Parades - Limerick and Dublin, Ireland - March 16, 17, 1997. Adjudicator - Heritage Festivals - Las Vegas, NV - March 21, 22, 1997. Adjudicator - Easter Parade - Bournemouth, England - March 30, 1997. Adjudicator - Heritage Festivals - London, England - April 1, 2, 1997. Adjudicator - Heritage Festivals - Washington, DC -April 5,6, 1997. Adjudicator - North American Music Festival - Virginia Beach, VA - April 11, 12, 1997. Adjudicator - American Classic Festival - New Orleans, LA - April 19, 1997. Adjudicator - Smoky Mountain Music Festival - Gatlinburg, TN - April 25, 16, 1997. Adjudicator - North American Music Festival - Toronto, Canada - May 9, 10, 1997. Adjudicator - Heritage Festivals - Vancouver, Canada - May 23, 24, 1997. Guest Conductor - Musician's Concert Band - Slippery Rock University - Slippery Rock, PA - June 20, 1997. Guest Conductor - University of Rhode Island Music Camp - July 6-12, 1997. Guest Conductor - University of North Carolina at Greensboro Music Camp - Greenboro, NC - July 20-25, 1997. Speaker - Education Conference - Diocese of Charlotte - November 6, 1997. Guest Conductor - Winthrop University Honors Band - November 21-22, 1997. Adjudicator - Western Maryland Catholic Schools - December 6, 1997. Adjudicator - Junior Orange Bowl Parade - Coral Gables, FL - December 28, 1997. Guest Conductor - Carquest Bowl - Miami, FL - December 26-29, 1997. Guest Conductor - South Central District Band - Mooresville, NC -January 29-31, 1998. Clinician/Conductor - Kings Mountain HS Band - Kings Mountain, NC -February 18, 1998. Guest Conductor - The United States Air Force Band - Biloxi, MS - March 8, 1998. Adjudicator - Furman University Band Festival - Greenville, SC - March 10, 1998. Adjudicator - St. Patrick's Day Parades - Limerick and Dublin, Ireland - March 16, 17, 1998. Adjudicator - Heritage Festivals - San Francisco, CA - March 28, 1998. Adjudicator - South Carolina State Band Festival - Lugoff, SC - April 3-4, 1998. Adjudicator - Heritage Festivals - New York, NY - April 18, 1998. Adjudicator - Heritage Festivals - Colorado Springs, CO - April 25, 1998. Adjudicator - Smoky Mountain Music Festival - Gatlinburg, TN - May 1-2, 1998. Adjudicator - North American Music Festival - Virginia Beach - May 8-9, 1998. Adjudicator - North American Music Festival - Toronto, Canada - May 15-16, 1998. Guest Conductor/Lecturer - American Band College - Ashland, OR - June 27-30, 1998. Guest Conductor/Adjudicator/Lecturer - Sydney, Australia - July 19-23, 1998. Adjudicator - Concerto Competition - Winthrop University, Rock Hill, SC -November 6, 1998. Guest Lecturer - Western International Band Clinic - Ashland, OR - November 20-23, 1998. Guest Conductor - Orange Bowl - Miami, FL - January 1-3, 1999. Guest Conductor - Frederick County Schools Honors Band - Frederick, MD - January 21-13, 1999. Guest Conductor - Allegheny Valley Honors Band - Gibsonia, PA - January 26-28, 1999. Guest Conductor - University of Southern Mississippi Honors Band - Hattiesburg, MS - February 11-13, 1999. Guest Conductor - Region All State Band - Montoursville, PA - February 18-20, 1999. Guest Lecturer - Duquesne University - Pittsburgh, PA - February 23,1999. Guest Conductor and Soloist - US Army Field Band - ABA Convention - Cocoa Beach, FL - March 1-6, 1999. Adjudicator - Fairfax County - District 11 Festival - Springfield, VA - March 11-13, 1999. Adjudicator - St. Patrck's Day Parades - Limerick and Dublin, Ireland - March 16, 17, 1999. Adjudicator - North American Music Festival - Virginia Beach - March 26, 1999. Adjudicator - South Carolina State Band Festival - Clover, SC - March 30-31, 1999. Adjudicator - Heritage Festivals - San Diego, CA - April 9-10, 1999. Adjudicator - American Classic Festival, Bereckenridge, CO - April 15-17, 1999. Adjudicator - Heritage Festivals - Houston, TX - April 22-24, 1999. Adjudicator - Smoky Mountain Music Festival - Gatlinburg, TN - April 29-May 1, 1999. Adjudicator - North American Music Festival - Toronto, Canada - May 6-8, 1999. Adjudicator - MusicFest Canada - Toronto, Canada - May 17-22, 1999. Adjudicator - Heritage Festivals - Vancouver, Canada - May 27-29, 1999. Guest Lecturer - ABC College - Southern Oregon State University, Ashland, OR - July 6 10, 1999. Guest Conductor/Lecturer - Summer Music Camp - James Madison University Harrisonburg, VA - July 11-14, 1999. Adjudicator - Richland Northeast Band Festival - Columbia, SC - October 16, 1999. Adjudicator - University of Illinois Marching Band Festival - Urbana, IL - October 23, 1999. Adjudicator - Arizona State University Marching Band Festival - Tempe, AZ - October 30, 1999. Adjudicator - Winthrop University Concerto Competition - Rock Hill, SC - November 5, 1999. Guest Conductor - Winthrop University Honors Band - Roch Hill, SC - November 19-20, 1999. Guest Conductor - Mississippi All State Band - Biloxi, MS - December 10-11, 1999. Guest Conductor - Sugar Bowl - New Orleans - January 1-3, 2000. Guest Conductor - District Band - Youngsville, PA - January 13-15, 2000. Guest Conductor - University of Georgia Honors Band - Athens, GA - January 20-22, 2000. Guest Conductor - Troy State University Honors Band - Montgomery, AL - February 3-5, 2000. Guest Conductor - Middle Tennessee State University Honors Band - Murfreesboro, TN - February 24-26, 2000. Adjudicator - Furman University Concert Band Festival - Greenville, SC - March 7, 2000. Adjudicator - St. Patrick's Day Parades - Limerick and Dublin, Ireland - March 16, 17, 2000. Adjudicator - North American Music Festival - Virginia Beach, VA - March 30-31, 2000. Guest Conductor - Monroe All County Band Festival - Key West, FL - April 6-8, 2000. Adjudicator - Dixie Classic Band Festival - Richmond, VA - March 13-15, 2000. Adjudicator - North American Music Festival - Toronto, Canada - April 27-29, 2000. Adjudicator - Dixie Classic Band Festival - St. Louis, MO - May 4-6, 2000. Adjudicator - Smoky Mountain Music Festival - Gatlinburg, TN - May 11-13, 2000. Adjudicator - Carowinds Band Festival - May 20-21, 2000. Adjudicator - Sunshine Festival Parades - Paris, Monaco, Cannes - June 21-26, 2000. Guest Lecturer - ABC College - Southern Oregon State University, Ashland, OR - July 6-10, 2000. Adjudicator - South Carolina District Marching Band Festival - Myrtle Beach, SC - October 13, 2000. Adjudicator - University of Illinois Marching Band Festival - Urbana, IL - October 21, 2000. Guest Conductor/Soloist - Augustana College Honors Band - Sioux Falls, SD - November 2- 4, 2000. Adjudicator - Hawaii State Marching Band Festival - Honolulu, HI - November 6, 2000. Guest Lecturer - Louisiana Music Educator Conference - Baton Rouge, LA - November 17-18, 2000. Guest Conductor - Gator Bowl, Jacksonville, FL - January 1-2, 2001. Guest Conductor - Tennessee Tech Honors Band - February 15-17, 2001. Adjudicator - St. Patrick's Day Parades - Limerick and Dublin, Ireland - March 16, 17, 2001. Adjudicator - Southeastern District Band Festival - Shelby, NC March 27-30, 2001. Guest Conductor - Heritage Honors Band - Dallas, TX - April 5-7, 2001. Adjudicator - North American Music Festival - Myrtle Beach, SC - April 19-21, 2001. Adjudicator - Smoky Mountain Music Festival - Gatlinburg, TN - April 26-28, 2001. Adjudicator - North American Music Festival - Toronto, Canada - May 3-5, 2001. Adjudicator - Dixie Classic Band Festival - Virginia Beach, VA - May 10-11, 2001. Adjudicator - Carowinds Band Festival - May 17-18, 2001. Adjudicator - Heritage Festivals - Vancouver, Canada - May 24-26,2001. Guest Lecturer - University of Southern Mississippi - Hattiesburg, MS - June 11-15, 2001. Guest Lecturer - ABC College - Southern Oregon State University, Ashland, OR - June 26- July 1, 2001. Guest Lecturer - James Madison University - Harrisburg, VA - July 7-11, 2001. Guest Conductor - Community School for the Arts - Charlotte, NC - July 12-14, 2001. Adjudicator - World Association of Marching Show Bands - Potsdam, Germany - July 23-28, 2001. Adjudicator - Weddington High School Marching Band Festival -Weddington, NC - September 29, 2001. Adjudicator - Trinity High School Band Festival - Trinity, NC - October 5-6, 2001. Adjudicator - University of Illinois Marching Band Festival - October 13, 2001. Guest Conductor - UNC Charlotte Symphonic Band - October 27, 2001. Guest Lecturer/Conductor - North Carolina Music Educators Conference - Winston-Salem, NC November 12-13, 2001. Guest Conductor - Louisiana All-State Band - Baton Rouge, LA - November 16-19, 2001. Guest Conductor - Armstrong Atlantic University Honors Band -Savannah, GA -November 29-December 1, 2001. Guest Conductor - Sugar Bowl - New Orleans - January 1-3, 2002. Guest Conductor - Mid South Honors Band - University of Mississippi, Oxford, MS - February 21-23, 2002. Guest Conductor - United States Air Force Band - Wichita, Kansas - March 8, 2002. Adjudicator - St. Patrick's Day Parades - Limerick and Dublin, Ireland - March 16, 17, 2002. Guest Conductor - North Dakota All-State Band - Bismarck, ND - March 21-23, 2002. Guest Conductor - Brentwood High School Band - Brentwood, TN - March 3-4, 2002. Adjudicator - Heritage Festivals - Chicago, IL - March 5-6, 2002. Adjudicator - North American Music Festival - Toronto, Canada - May 19-20, 2002. Guest Conductor - North Carolina All-State Band - Greensboro, NC - March 25-27, 2002. Adjudicator - Smoky Mountain Music Festival - Gatlinburg, TN -May 2-4, 2002. Adjudicator - Carowinds Band Festival - May 10-11, 2002. Adjudicator - Heritage Festivals - Vancouver, Canada - May 23-25, 2002. Guest Conductor - Community School for the Arts - Charlotte, NC - July 11-13, 2002. Adjudicator - World Association of Marching Show Bands - Tokyo, Japan -July 24-27, 2002. Guest Lecturer - Charlotte Mecklenburg Schools In Service - Charlotte, NC - September 16, 2002. Adjudicator - University of Illinois Marching Band Festival - Champaign, IL - October 13, 2002. Adjudicator - East Lincoln Marching Band Festival - Denver, NC - October 13, 2002. Guest Conductor - Winthrop University Honors Band - Rock Hill, SC - November 21-23, 2002. Guest Conductor - Akron University Honors Band and Akron University Wind Symphonic Band - Akron, OH - December 5-7, 2002. Guest Conductor - District 11 Band -Warminster, PA - January 16-18,2003 Guest Conductor - District Band - Myrtle Beach, SC - January 31, February 1, 2003. Clinician - University of North Carolina at Greensboro - February 13-15, 2003. Guest Conductor - University of Akron Wind Ensemble - Baltimore, MD - March 6, 2003. Guest Conductor - Rowan County Band - Salisbury, NC - March 10-11, 2003. Adjudicator - St. Patrick's Day Parades - Limerick and Dublin, Ireland - March 16, 17, 2003. Adjudicator - North American Music Festival - New York - March 17-18, 2003. Adjudicator - North American Music Festival - Virginia Beach, VA - April 4-5, 2003. Adjudicator - Festival of Gold - Chicago, IL - April 11-13, 2003. Adjudicator - Carowinds Band Festival - May 3, 2003. Adjudicator - Smoky Mountain Music Festival - Gatlinburg, TN - May 9-10, 2003. Guest Conductor - North Carolina State University Wind Ensemble - Charlotte, NC-May 15, 2003. Adjudicator - Carowinds Band Festival - May 16-17, 2003. Adjudicator - Heritage Music Festival - Vancouver, Canada - May 22-24, 2003. Guest Lecturer - ABC College - Southern Oregon State University, Ashland, OR - June 26-30, 2003. Adjudicator - World Association of Marching Show Bands - Monza, Italy - July 8-11, 2003. Adjudicator - Danish National Band Championship - Vejen, Denmark - July 21-14, 2003. Adjudicator - Weddington High School Band Festival - Weddington, NC - September 27, 2003. Guest Conductor - Tallaght and Crumlin Community Bands - Dublin, Ireland - October 8-10, 2003. Adjudicator - University of Illinois Marching Band Festival - Champaign, IL - October 17-18, 2003. Adjudicator - Regional Marching Band Festival - Houma, LA - October 24-25, 2003. Guest Conductor - Catawba College Concert Band - Salisbury, NC -November 7, 2003. Guest Conductor - Wintrop University Symphonic Wind Ensemble - December 8, 2003. Clinician - NCMEA Conference - Winston Salem, NC - November 9-10, 2003. Guest Conductor - Community School for the Arts Concert - November 11, 2003. Adjudicator - Lord Mayor's New Year's Parade - Dublin, Ireland - January 1, 2004. Guest Conductor - New Hanover All-County Band Festival - Wilmington, NC - February 20-21, 2004. Guest Conductor - Sprayberry High School Band - Marietta, GA - February 27-28, 2004. Guest Conductor - United States Army Band - Williamsburg, VA - March 5, 2004. Guest Lecturer - Dioceses of Charlotte In-Service Day - March 12, 2004. Adjudicator - St. Patrick's Day Parade - Dublin, Ireland - March 17, 2004. Adjudicator - WAMSB Band Festival - Porto Alegre, Brazil - March 24-28, 2004. Guest Conductor/Adjudicator - Festival of Gold - Chicago, IL - April 1-4, 2004. Clinician/Lecturer - University of Wisconsin at Eau Claire. WI - April 6-9, 2004. Adjudicator - Dixie Classic Festival - Virginia Beach, VA - April 16-17, 2004. Adjudicator - Smoky Mountain Music Festival - Gatlinburg, TN - April 23-24, 2004. Adjudicator - North American Music Festival - Virginia Beach, VA - April 30, 2004. Adjudicator - Carowinds Band Festival - Fort Mill, SC - May 14-15, 2004. Adjudicator - Carowinds Band Festival - Fort Mill, SC - May 21-22, 2004. Adjudicator - Heritage Music Festival - Vancouver, Canada - May 28-29, 2004. Guest Conductor - Community School for the Arts - July 14-17, 2004. Guest Conductor - Clarion University Marching Band - October 2, 2004. Clinician/Consultant - Cary Academy - Cary, NC - October 11-12, 2004. Adjudicator - Shelby HS Marching Band Competition, Shelby, NC - October 16, 2004. Guest Conductor - The United States Air Force Band - October 17, 2004. Adjudicator - Olympic HS Marching Band Competition, Charlotte, NC - October 16, 2004. Clinician/ Consultant - Monroe County Schools - Key West, FL - November 15-16, 2004. Guest Conductor - North Area Honors Band - Aberdeen, SD - December 3-4, 2004. Guest Conductor - East Tennessee Honor Band - Murfreesboro, TN - January 13-15, 2005. Guest Conductor - All South Honors Band - Hattiesburg, MS - February 10-12, 2005. Adjudicator - Fairfax County Band Festival - Spring field, VA - March 4-5, 2005. Guest Conductor - Old English Wind Ensemble - ABA Convention - Gainesville, FL - March 12, 2005. Adjudicator - St. Patrick's Day Parade - Dublin, Ireland - March 17, 2005. Adjudicator - MICA Band Festival - Foxborough, MA - March 1-2, 2005. Adjudicator - North American Band Festival - Virginia Beach, VA - March 8, 2005. Clinician/Consultant - West Jefferson HS - Metairie, LA - April 14, 2005. Adjudicator - Heritage Band Festival - New Orleans, LA - April 15, 2005. Adjudicator - Heritage Band Festival - Myrtle Beach, SC - April 22, 2005. Adjudicator - Adventureland Festival of Bands, Des Moines, IA - April 30, 2005. Adjudicator - Smoky Mountain Music Festival - Gatlinburg, TN - April 6-7, 2005. Adjudicator - Carowinds Band Festival - Fort Mill, SC - May 13-14, 2005. Adjudicator - Carowinds Band Festival - Fort Mill, SC - May 20-21, 2005. Adjudicator - Heritage Music Festival - Vancouver, Canada - May 27-28, 2005. Adjudicator - Sun Fun Festival - Myrtle Beach, SC - June 4, 2005. Adjudicator - Carnival Cruise Festival - Cozumel, Mexico - June 11, 2005. Adjudicator - Danish National Band Championship - Aarhus, Denmark - July 1-2, 2005. Guest Conductor - Community School for the Arts - July 14-15, 2005. Guest Lecturer - University of Taubate - Sao Paulo, Brazil - August 8-9, 2005. Adjudicator - Providence HS Marching Band Festival - Charlotte, NC - October 1, 2005. Guest Conductor - University of North Carolina at Charlotte Symphonic Band - October 4, 2005. Adjudicator - Sprayberry HS Marching Band Festival - Marietta, GA - October 8, 2005. Adjudicator - Northern Guilford HS Marching Band Festival - Greensboro, NC - October 22, 2005. Adjudicator - Vandebilt HS Marching Band Festival - Houma, LA - October 29, 2005. Guest Conductor - Western Kentucky University Honors Band - Bowling Green, KY -January 18-21, 2006. Guest Conductor - Buncombe County Honors Band - Asheville, NC - January 23-24, 2006. Guest Conductor - Washington County Honors Band - Hagerstown, MD - February 3-4, 2006. Clinician/Conductor - Providence High School Band - Charlotte, NC - February 6, 2006. Clinician/Conductor - Myers Park High School Band - Charlotte, NC - February 22, 2006. Adjudicator - St. Patrick's Day Parade - Dublin, Ireland - March 17, 2006. Adjudicator - Heritage Festival - Orlando, FL - March 23-24, 2006. Conductor - Winthrop/Carolinas Wind Orchestra - Clover High School - Clover, SC -March 28, 2006. Clinician - Heritage Festival - Boston MA. - March 31, 2006. Conductor - Festival of Gold - Symphony Hall - Boston, MA - April 3, 2006. Adjudicator - North American Music Festival - Lodi, NJ - April 7-8, 2006. Adjudicator - North American Music Festival - Virginia Beach, VA - April 21, 2006. Adjudicator - Smoky Mountain Music Festival - Gatlinburg, TN - April 27-29, 2006. Adjudicator - Carowinds Band Festival - Fort Mill, SC - May 12-13, 2006. Adjudicator - Carowinds Band Festival - Fort Mill, SC - May 19-20, 2006. Adjudicator - Heritage Music Festival - Vancouver, Canada - May 25-27, 2005. Guest Conductor - Community School for the Arts - July 10-14, 2006. Guest Conductor - Sinibaldi Memorial Concert - St. Marys, PA - July 22, 2006. Adjudicator - World Association of Marching Show Bands - Jeju, Korea -August 1o-16, 2006. Adjudicator - Catawba College Marching Band Festival - Salisbury, NC - October 7, 2006. Adjudicator - Northern Guilford HS Marching Band Festival - Greensboro, NC - October 14, 2006. Adjudicator - Festival of Champions - Mooresville, NC - October 21, 2006. Guest Conductor - Western Invitational Band Clinic Honors Band - Spokane, WA -November 17-19, 2006. Music Director - Galway Ireland New Year's Parade - Galway, Ireland - January 1, 2007. Conductor/Clinician – Fort Mill High School Band – Fort Mill, SC – January 17, 2007. Conductor – Carolina Wind Orchestra – Southern Division Meeting – MENC – Charleston, SC – February 9, 2007. Conductor/Clinician – Northern Cabarrus High School Band – Concord, NC – February 19, 2007. Conductor/Clinician – Providence High School Band – Charlotte, NC – February 23, 2007. Conductor/Clinician – Parkwood High School Band – Monroe, NC – February 28, 2007. Guest Conductor – 60th Annual Pennsylvania Intercollegiate Band Festival - Lock Haven University – March 1-3, 2007. Music Director - St. Patrick Parade - Dublin, Ireland - March 17, 2007. Conductor/Clinician – Kings Mountain High School Band – Kings Mountain, NC – March 21, 2007. Guest Speaker – Veritas Instrument Rental Conference – Orlando, FL –March 23, 2007. Adjudicator – Heritage Music Festival – Orlando, FL – March 24, 2007. Adjudicator – Heritage Music Festival – Boston, MA – April 14, 2007. Guest Conductor - Tennessee All-State Band - Nashville, TN - April 19-21, 2007. Adjudicator – Smoky Mountain Music Festival – Gatlinburg, TN – April 27-28, 2007. Adjudicator – Smoky Mountain Music Festival – Gatlinburg, TN – May 4-5, 2007. Adjudicator - Carowinds Band Festival - Fort Mill, SC - May 11-12, 2007. Adjudicator - Carowinds Band Festival - Fort Mill, SC - May 18-19,2007. Adjudicator – Heritage Music Festival – Vancouver, Canada – May 24-26, 2007. Adjudicator – National Band Festival – Copenhagen, Denmark – July 2-5, 2007. Guest Conductor - Community School of the Arts – July, 2007. Adjudicator – Kingwood High School Marching Band Festival – Kingwood, TN – September 29, 2007. Conductor/Clinician – Crestdale Middle School – Charlotte, NC – January 17, 2008. Guest Conductor – University of Georgia BandFest – Athens, GA – January 18-20, 2008. Guest Conductor – Western Carolina District Band – Western Carolina University – February 8-9, 2008. Conductor/Clinician – Providence High School Band – Charlotte, NC – February 13, 2008. Conductor/Clinician – Lake Norman High School – Huntersville, NC – February 21, 2008. Artist in Residence – Scotland High School – Laurinburg, NC – February 27-28, 2008. Conductor/Clinician – Fort Mill High School – Fort Mill, SC – February 25, 2008. Guest Conductor - University of North Carolina at Charlotte Youth Wind Ensemble – January 29, 2008. Music Director - St. Patrick Parade - Dublin, Ireland - March 17, 2008. Guest Conductor – United States Army Field Band – Charlotte, NC – March 31, 2008. Adjudicator – Heritage Music Festival – New York, New York – March 28-29, 2008. Adjudicator - Carowinds Band Festival - Fort Mill, SC – April 4-5, 2008. Adjudicator – Heritage Music Festival – Myrtle Beach, SC – April 11-12, 2008. Guest Conductor – North Carolina All-State Band – Winston-Salem, NC – April 18-19, 2008. Conductor - Winthrop/Carolinas Wind Orchestra – Rock Hill, SC - April 28, 2008. Guest Conductor/Clinic1an –Lakota High School Band – West Chester, OH – May 7-9, 2008. Adjudicator - Carowinds Band Festival - Fort Mill, SC – May 16-17, 2008. Adjudicator – Heritage Music Festival – Vancouver, Canada – May 22-24, 2008. Guest Speaker – International Band Festival – Cheb, Czech Republic – June 24-29, 2008. Guest Conductor - Community School of the Arts – July 7-11, 2008. Adjudicator – Scotland High School Marching Band Festival - Laurinburg, NC – September 20, 2008. Adjudicator - Providence HS Marching Band Festival - Charlotte, NC - October 4, 2008. Adjudicator – Arizona State University Marching Band Festival – Tempe, AZ - October 18, 2008. Adjudicator –University of Illinois Marching Band Festival – Champaign, Il - October 25, 2008. Adjudicator –Carolina Crown BandBeat Marching Band Festival – Charlotte, NC - November 1, 2008. Guest Conductor – Charlotte Concert Band – Charlotte, NC – November 8, 2008. Guest Conductor - Sugar Bowl - New Orleans - January 1-3, 2009. Adjudicator – Scotland High School Marching Band Festival – Laurinburg, NC – January 29, 2009. Conductor – in – Residence – Brentwood High School – Brentwood, TN – February 8-9, 2009. Guest Conductor – University of Wisconsin LaCrosse – LaCrosse, WI - February 25-27, 2009. Guest Conductor – Dobyns-Bennett HS – Kingsport, TN – February 19-21, 2009. Guest Conductor – South Carolina All State Band – Greenville, SC – March 12-15, 2009. Adjudicator – Heritage Music Festival – New York, New York – April 16-18, 2009. Adjudicator - Carowinds Band Festival - Fort Mill, SC – May 15-16, 2009. Adjudicator - Carowinds Band Festival - Fort Mill, SC – May 22, 2009. Adjudicator - Carowinds Band Festival - Fort Mill, SC – May 29, 2009. Adjudicator - Carowinds Band Festival - Fort Mill, SC – June 5-6, 2009. Guest Speaker, Cheb Band Festival, Cheb, Czech Republic - June 17-23, 2009. Adjudicator – National Band Festival – Aalborg, Denmark – July 3-7, 2009. Guest Conductor - Community School of the Arts – Charlotte, NC - July 13-17, 2009. Visiting Professor – Beijing and Shanghai, China – August 18-24, 2009. Guest Conductor – NCMEA Convention – Winston-Salem NC – November 8, 2009. Guest Conductor – Carolina Wind Orchestra – Rock Hill, SC – November 20, 2009. 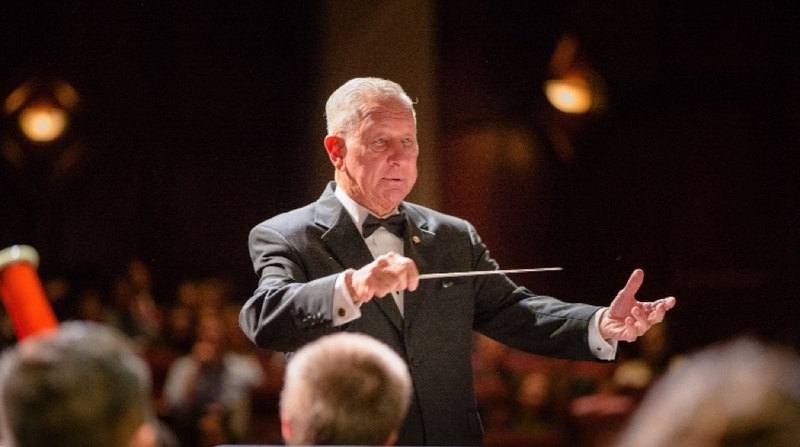 Guest Conductor – Limestone College – Gaffney, SC – December 7, 2009. Guest Conductor – Dobyns-Bennett HS Band – Mid-West Band Clinic – Chicago, IL-December 18, 2009.